Ben Whiteman struck the winner as Doncaster secured a 1-0 win at 10-man Bury to pile the pressure on Shakers manager Lee Clark. Bury centre-half Eoghan O'Connell was sent off in first-half stoppage-time and it looked like the hosts might hang on. 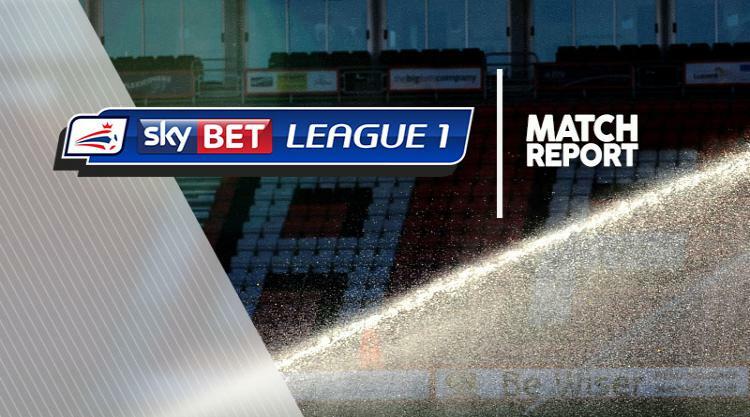 But Rovers substitute Whiteman scored in the 78th minute to condemn Bury to a fourth straight defeat, leaving them second-bottom in Sky Bet League One. James Coppinger and Jermaine Beckford fired wide at each end before the hosts had the better of a poor first half. Chris Humphrey and Greg Leigh went close before Rovers goalkeeper Ian Lawlor denied Rohan Ince and Beckford. Doncaster were handed a boost as O'Connell was shown a straight red for bundling over John Marquis when clean through. Tommy Rowe fired the free-kick just wide before substitute Andy Williams had a goalbound effort blocked after the break. Marquis then squared for Williams to somehow sidefoot wide from four yards. But Coppinger's corner was cleared to the edge of the Bury box, where Whiteman had time to take a touch before sidefooting home, edging Rovers up to 17th.